Description: Arguably the best thing ever to come out of the Redline Club. 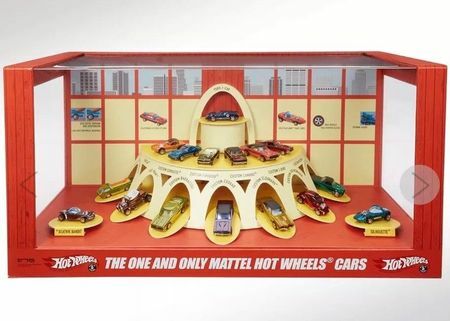 Hot Wheels RLC 50th anniversary ORIGINAL 16 Store Display set. This set is unopened and still in the original factory sealed box it came in. I’ll leave the fun of opening it to the winning bidder. Only 1,500 of each were made making these some of the rarest Hot Wheels ever. The display has a built in drawer that holds the cars. Each vehicle has it’s own compartment in the drawer. Money Order only for payment. Payment/Shipping Policy: USA shipping only. Will ship UPS ground with signature confirmation and insured.